Cabinets are an ideal way to increase storage space in your garage, eliminating the need for hanging racks on a wall or overhead. Cabinets increase your storage options in the garage based on a variety of sizes and styles. They effectively help you organize your space and give you more options on where to keep your items. However, you want to choose cabinets that will last. In this post, we discuss some cabinets to avoid because they typically deteriorate over time. Although the price tag of cheap garage cabinets may seem attractive, low-cost storage cabinets always turn out to be a bad investment with lots of drawbacks. There are four types of cheap garage cabinets you should avoid when considering adding storage cabinets to your garage. These low-cost or even no-cost cabinets have a variety of limitations you should be aware of. Old wooden kitchen cabinets you might obtain free from a kitchen remodel were never designed to be in a garage environment. 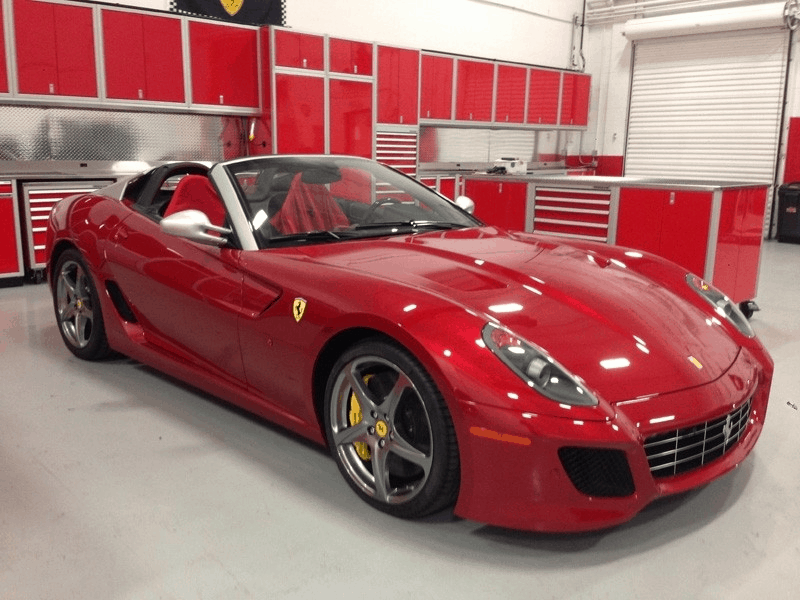 Unless your garage is climate controlled, this space can get very hot in the summer and extremely cold in the winter, with plenty of moisture and humidity build-up. Wooden kitchen cabinets can quickly degrade, inviting dry rot and damage from termites or other pests. Those assemble-them-yourself plastic garage cabinets are another waste of your money. Despite how the manufacturer describes the material used in their construction, you can be certain that these cheap garage cabinets are very flimsy and a poor storage choice. Unless you are an experienced craftsperson, making your own garage cabinets from scratch will likely prove an exercise in frustration. You may find that the entire system doesn’t fit seamlessly together once you are done, giving the cabinets a patchwork appearance that won’t help enhance the atmosphere in your garage. Cabinets constructed of particleboard and pressed fiberboard (MDF) have a well-deserved reputation of weak durability and not much in the way of longevity. After just a few months of usage, they easily chip and may split apart, with their veneer finish becoming unstuck. Prefab cabinets also buckle and warp, especially if used to store heavy items. Unless you want your garage to look cheap and unkempt, avoid these cheaply made, low-cost garage cabinets. They don’t offer you the durability and reliability you need for storage in a space you use as often as you do your garage and usually cannot be customized to meet your specific storage needs. Adding cheap cabinets to your garage is a waste of your time, money and energy. 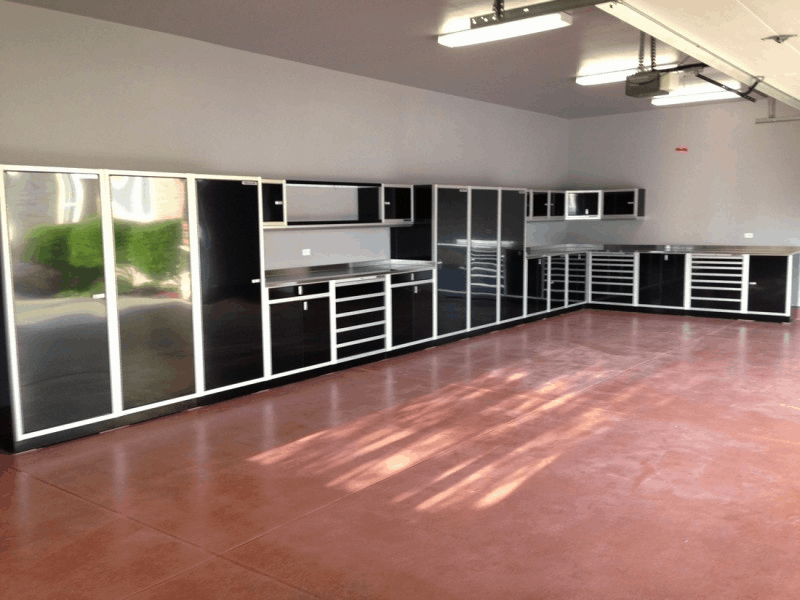 When you invest in high quality garage cabinets, you make your garage space more aesthetically pleasing. In addition, you easily avoid the aggravation that comes with having cheap garage cabinets fall apart when you least expect it. Let our cabinet experts provide you with a complimentary consultation for cabinets in your garage. Call us at 888-343-4463 today!